Vineyards from all over the UK are rushing to put forward their best hopes into the UK Vineyards Association Wine of the Year Competition. After a complex, and at times trying 2013 vintage, the industry has landed on its feet with record-breaking harvest figures, and good quality to match. 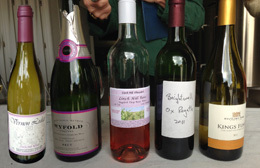 The wines will be judged over the next two weeks behind closed doors in Oxford, but members of the public will be able to sample the submissions at the English Wine Festival, to be held at The Oxford Union on Saturday 7 June (11 am - 6 pm). NOTE VENUE CHANGE (previously publicized as Balliol College). Tickets will now cost £7, which will include tastings samples. 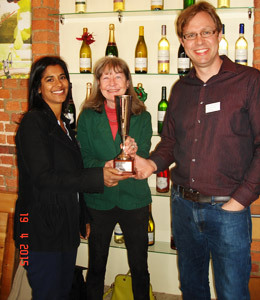 • For the first time ever, the City of Oxford will play host to the UK Vineyards Association Wine of the Year Competition in which hundreds of English and Welsh wines will vie with each other for recognition and glory. 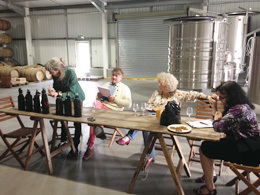 • The people of Oxford will then be treated to a rare opportunity to taste for themselves over 100 of the award-winning wines to emerge from the competition, as part of the English Wine Festival. 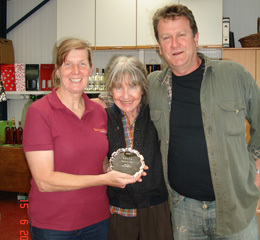 Only the very best wines from the competition will be offered to taste during the Festival. • At the English Wine Festival, the public can also meet winemakers, growers and even a Master of Wine specializing in the English Wines and learn more about the grape varieties that do well in our climate. 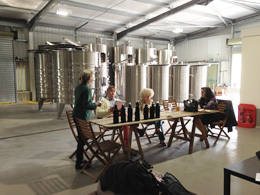 Wines produced in the Thames and Chilterns region will also be available to taste and to buy. 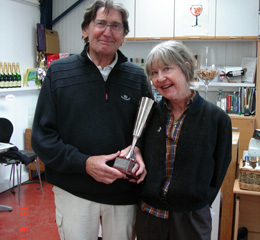 The UK Wine of the Year Competition, run by the UK Vineyards Association, will be held behind closed doors in the run-up to the English Wine Festival. This competition is unique in the world because all the judges are Masters of Wine, wine experts who have received the highest qualification in their field. The 2013 harvest figures for the UK have just been released, revealing the highest production on record, a total of 33,384 hectolitres, equating to just below 4.5 million bottles. 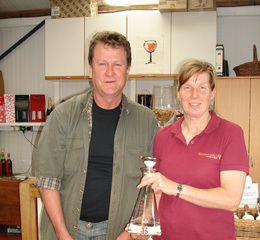 This is the highest volume ever, breaking the previous record of 4 million bottles in 2010. 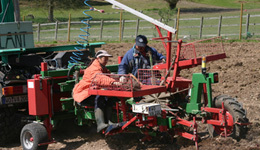 The increase reflects the ongoing rise in planting that the industry continues to experience. 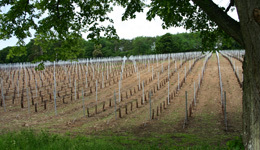 In the last seven years, hectarage has doubled, with some 500 hectares planted in the last two years alone. Sparkling wine now accounts for around two thirds of England’s total production with Chardonnay, Pinot Noir and Pinot Meunier accounting for just under 50% of recent plantings, followed by Bacchus. A new vineyard is breathing life into a fallow piece of ground on the A4130 Fairmile heading north-west out of Henley-on-Thames, Oxfordshire. The 7½ acre (3Ha) Fairmile Vineyard sits on a steep chalky flinty slope and has been planted with 12,000 Chardonnay, Pinot Noir, and Pinot Meunier rootstocks using GPS technology to ensure accuracy of the rows. Owners Jan & Anthea Mirkowski feel that the south-facing slope will confer great advantages for drainage, frost protection, and capturing sunlight, especially in autumn when the grapes are in berry, and the sun sitting lower on the horizon. The first harvest should be picked 2017, with the grapes being sent offsite to a contract winemaker who will turn them into mostly sparkling wines – white and rosé. Other vineyards already exist close by, and we hope to see Henley made famous not only for its Regatta and quality of life, but noted for its fine wines! 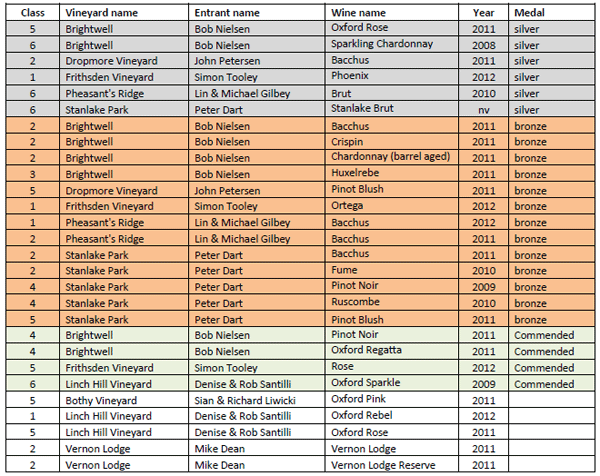 28 wines from 8 vineyards were entered into the T&CVA Annual Wine Challenge held at Brightwell Vineyard on 15th June 2013. 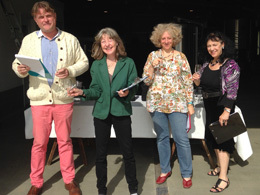 The four eminent judges were: Patricia Stefanowicz MW;Kathleen Burk, Wine Consultant and Educator MW; Anne Krebiehl final year MW; Lindsay Oram final year MW.